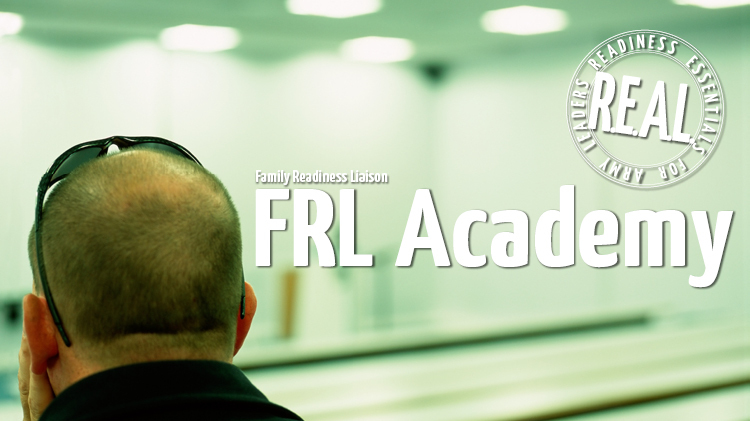 The three-day Family Readiness Liaison (FRL) course is designed to prepare Soldiers who are appointed as FRLs to assist with the operational, logistical, and administrative aspects of the FRG. As a liaison between the command and the FRG volunteer the FRL needs to know the ins and outs of the FRG and how their role can assist both the command and the volunteers. The course covers: Leadership Management, Volunteer Management, Communication Network, Stability Support and the FRG, Non-Mission Essential Activities, and Resources. Upon completion of the course the FRL will have an understanding of their role in the FRG and how to assist with execution of the FRG mission. Upon completion of the course the FRL will have an understanding of their role in the FRG and how to assist with execution of the FRG mission. Click the "Email us" below to register or for more information. IMCOM intends the R.E.A.L. Foundations class as a pre-requisite to all R.E.A.L. classes. ACS has scheduled the Foundations class immediately preceding this class.